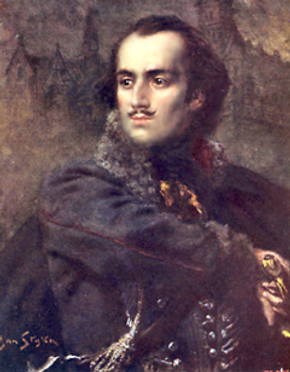 Casimir Pulaski is considered the father of the American cavalry. He was a Polish cavalry officer and revolutionary who was exiled from Poland in the 1700&apos;s and later met revolutionary, Benjamin Franklin in Paris. According to WBEZ in Chicago, Pulaski considered the American fight for independence as similar to Poland’s own struggle for independence. He was recruited by Lafayette and Ben Franklin to come to America and fight for the Colonists&apos; struggle to be free from England and King George III. Pulaski led troops in a couple of notable battles, dying from a wound received in combat in 1779. Still wondering why there is a Casimir Pulaski day in Illinois and not other U.S. States? Polish immigration to Chicago. The website, MentalFloss, tells us that Polish immigration to Chicago began in the late 1800&apos;s, and that due to discrimination, Chicago&apos;s Polish population took to celebrating an American Revolutionary War Hero who was also Polish. Several tributes sprung up around Chicago, including the changing the name of a street from 40th Avenue to Pulaski Rd. (then later, to Crawford road, and back again to Pulaski Rd) In 1977, the Illinois State Legislature recognized the first Monday in March as Casimir Pulaski Day (a commemorative holiday) in honor of his heroism and contributions to the American Revolutionary War. Later (in the 1980&apos;s), schools and other institutions recognized it a full public holiday. Since then though, most schools stay open for the holiday. In 2009, then President Barack Obama signed a joint House and Senate resolution granting honorary citizenship to Casimir Pulaski. There you have it - a brief history on Casimir Pulaski and Pulaski Day! Thanks for stopping by, reading and sharing!